My family and I are excited, and are looking forward to attend the Art Gallery of Ontario for Basquiat-themed family fun! Over the next few months the AGO will be hosting a number of family-friendly events inspired by the brand new exhibition Jean-Michel Basquiat: Now’s the Time. During the March Break, March 14 – 22 drop in and join the AGO for one of nine creative days of exploring the amazing art of Basquiat. The whole family can enjoy beat boxing, dancing and drumming performances; interactive storytelling; art making; films and family-friendly tours of the Basquiat exhibition. 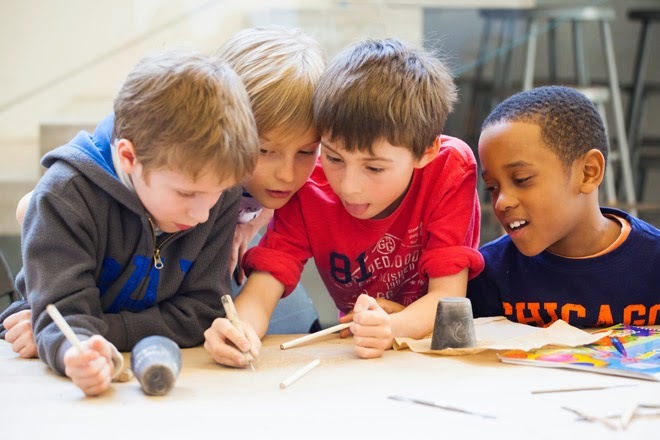 They also have Family Sundays held every Sunday until March 29th where families are invited to explore a new aspect of Basquiat’s work through art-making and hands-on activities from 1 – 4 p.m. in the Weston Family Learning Centre. For a complete line-up of activities, visit www.ago.net/family-events. I have never been to AGO but my son is getting older and I'm think to try it.